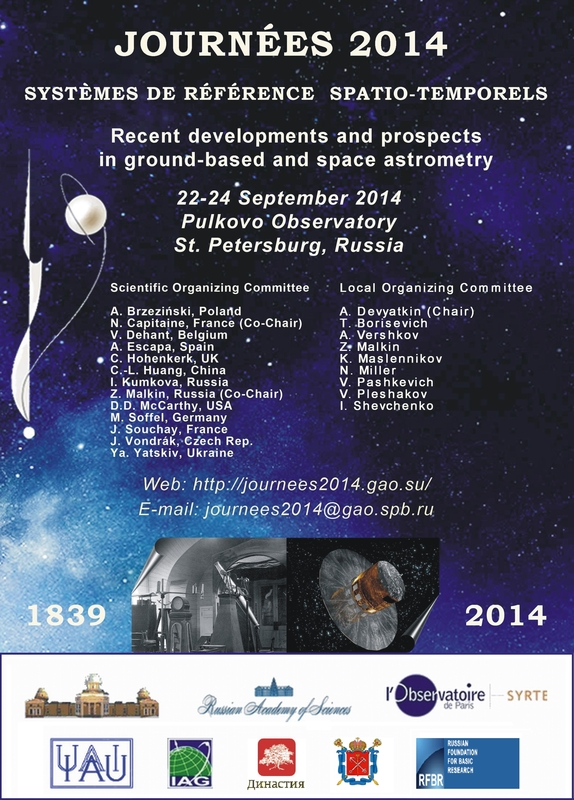 in ground-based and space astrometry"
The Journées 2014 "Systèmes de référence spatio-temporels", with the sub-title "Recent developments and prospects in ground-based and space astrometry" were organized at Pulkovo Observatory from 22 to 24 September 2014. These Journées were the 23rd meeting in this series of international meetings (see the list of the Journées) whose main purpose is to provide an international forum for advanced discussion in the fields of space and time reference systems, Earth rotation, astrometry and time (see the Proceedings of past Journées). 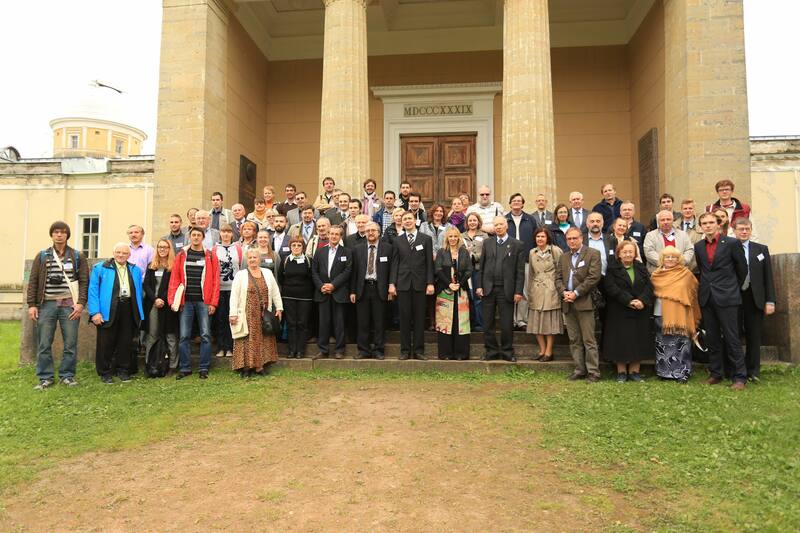 They are sponsored by Pulkovo Observatory of the Russian Academy of Sciences and Paris Observatory/SYRTE. 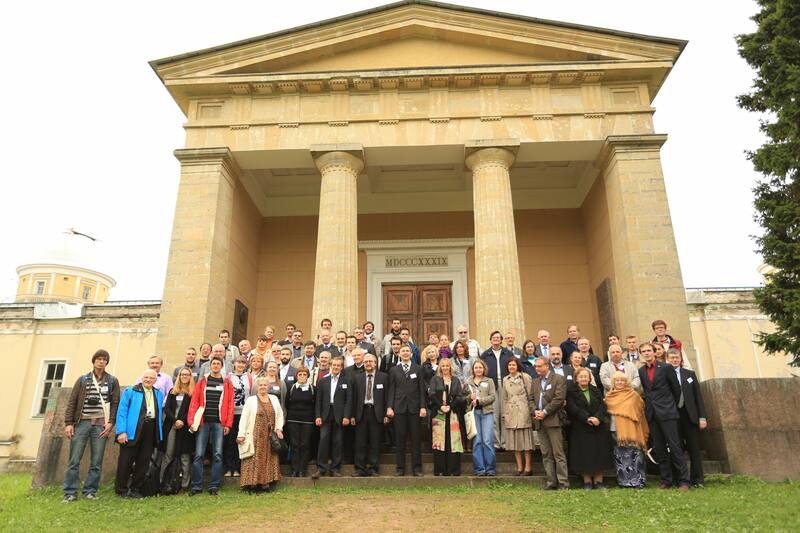 The Journées 2014 are co-sponsored by the International Astronomical Union (IAU) and the International Association of Geodesy (IAG). These Journées are included in the program of celebrating of the 175th anniversary of the Pulkovo observatory.